The 3219 is popular because of its compact dimensions. 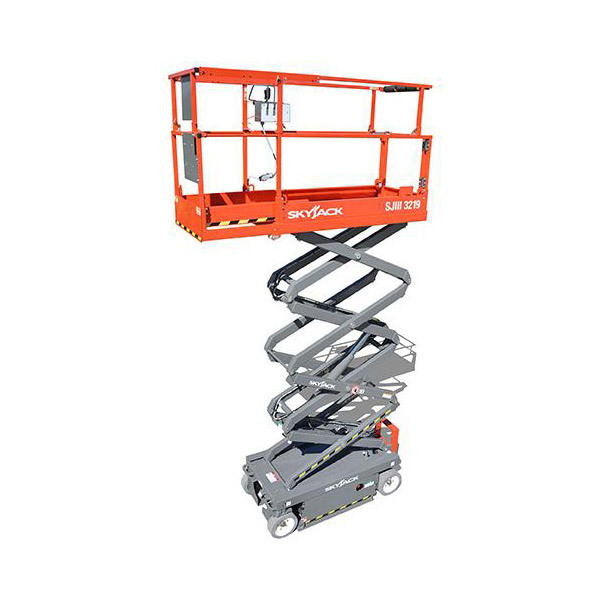 Narrow enough to fit through a standard doorway it can still lift two men up to a working height of 7.6m. 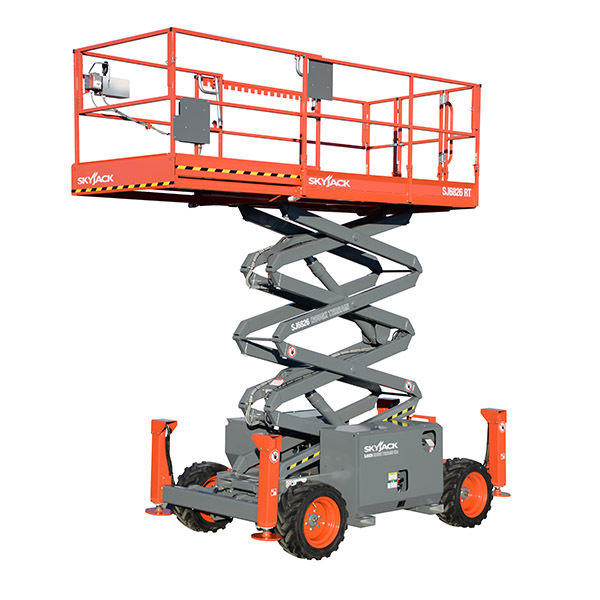 With non-marking tyres and battery electric is is ideal for most internal working at height applications.